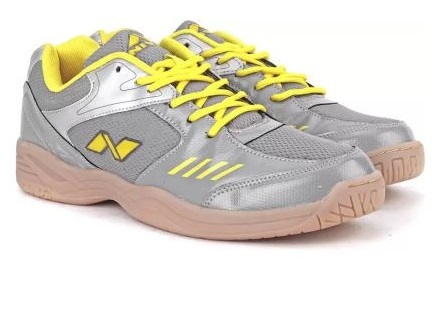 Nivia Sports is offering a range of good badminton shoes to choose from. Most of them are available under a price range of 1000 rupees to 2000 rupees. 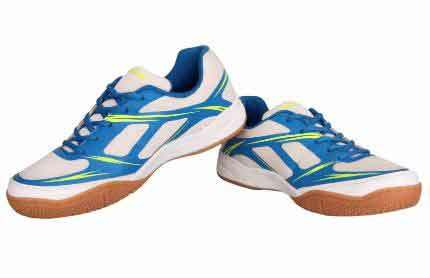 These shoes are therefore affordable and is best suiting for beginner & intermediate level players. Most of these shoes are made with combination of synthetic leather, non-woven insole and EVA(ethylene-vinyl acetate rubber) out sole. (source -www.niviasports.com). Upper material made with mesh material ensures breath-ability and comfort. Out sole made with Eva rubber helps for absorbing shock, for cushioning and also flexibility. 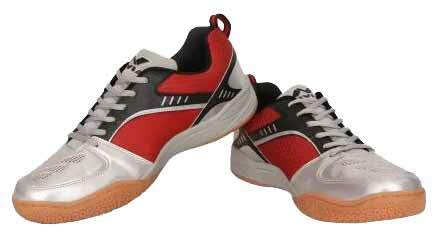 Nivia badminton shoes are designed to perform best in Cemented/Wooden Floor courts. And yields best grip and performance on these surfaces. Material – Upper material is made with Mesh & Pvc Synthetic Leather. In Sole material is made with stroble Cloth and out sole with Phylon. Phylon material is more lightweight, flexible, and has good cushioning compared to eva and rubber. 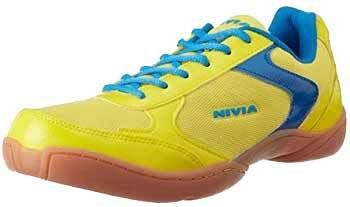 Product details – Nivia aster is the best selling Nivia badminton shoes under thousand rupees price category. Best option for beginners. Can also use for other indoor sports activities. Material – Upper material is made with Mesh & Pvc Synthetic Leather. In Sole material is made with stroble Cloth and out sole with Eva & Rubber for grip. Product details – one of the best men’s shoes in this price range, and will work best for beginner/intermediate level players. Colour options – Hy-court shoes are available in three colour options, grey and yellow, red and yellow, white and black. Sizes available – Three to Thirteen UK sizes are available. Playing level – beginner, intermediate level for Cemented or other indoor Floor types. Playing level – beginner, intermediate level. Best for playing on cemented or other indoor Floors.